When it comes to creating live streaming quality content, there are a lot of details involved. While most people have great content to present and a solid plan on how it’ll be presented, they often forget the key elements in the preparation stage of a live streaming video which hurts their end result. That’s why we’ve put together this live streaming checklist with some of the most important elements for you to double check before going live. The speed of your internet connection is crucial to the success of your live stream. o Go on speedtest.net and double check our Upload Speed. Above 3 Mbps will allow you to stream in SD (standard definition). Ideally, having 10 Mbps upload speed will give you great results. o Get an ethernet connection instead of wi-fi, to gain more stability. Even better if it’s a dedicated line, that you are the only one using. Test all your equipment before a live stream, make sure the batteries are fully charges and have backups of everything, within your budget. But, at least, have a plan B in mind, in case something doesn’t work. To help you manage your live stream and multitask efficiently, make sure you get the right software. 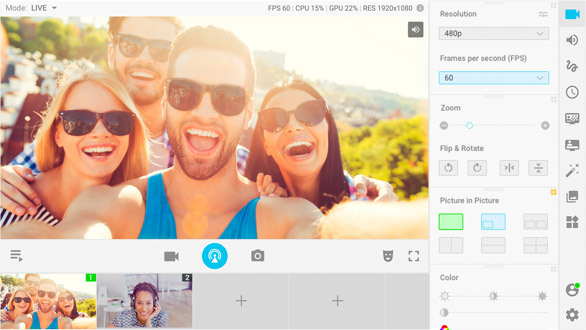 Preferably, a software that allows you to have control over your video and audio sources, as well as, add multiple video sources and broadcast to multiple platforms simultaneously like ManyCam. 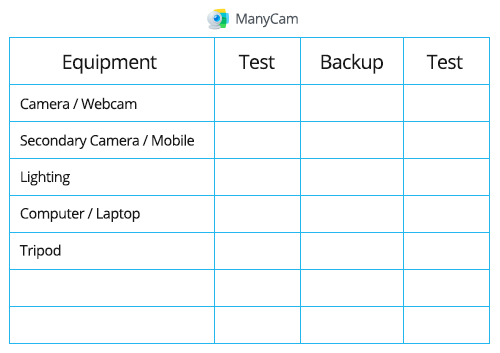 Learn more about ManyCam here. Equally important to testing everything separate, is testing everything together. Do a dry run of your whole video. This will ensure you have a good flow throughout your live stream and that every element works. To make the most out of your dry run, you can record it, watch it and analyze it, just to make sure that everything is well explained, that it is the length you envisioned and that all your equipment, material, software and platform work well together. Even though, live streaming started out as something more spontaneous and without much preparation needed, our audience has become more demanding, that individual broadcasters and later on brands, are now putting a lot more effort into it. So, apply this live streaming checklist to your next live video and take full advantage of the power of live video. 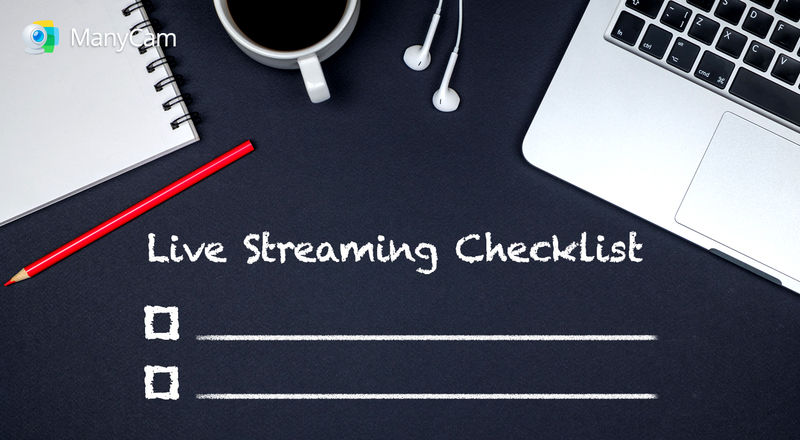 What else is on your live streaming checklist? [Tutorial] How customizing ManyCam can increase productivity in your live streaming videos?